This map is one of the few very straightforward ones, but don’t sleep on it as wyverns will be a constant threat. The Western areas can easily be plugged, and the Eastern as well, but defense against ogres and wyverns will make or break success with this level. Setting up any sort of well-protected blockade system at 1 and 4 complete with strength drain auras or gas traps and tower support will guarantee its safety, and at 2 and 3 all that’s needed is a blockade and tower combo, but the wyverns, man, the wyverns! Starting out, blockade every choke point sufficiently. Bouncers are recommended for 2 and 3 as magic blockades will result in enemies squeezing by or falling off the stairs. Set all those up, then the first wave can begin. Watch for wyverns (something that must be done throughout) until anti-air towers can be placed. This level has high-angle wyverns, meaning if harpoons are being used, they should have high tower attack speed and/or radius. If not, a fireball tower should be complementing the defense at 2 and 3 so that it can take out wyverns as well, and then a lightning tower can be used to defend the crystal, placed just in front of it. Place harpoons in front of the crystal next to 1 and 4 and supplement them with an ensnare aura. 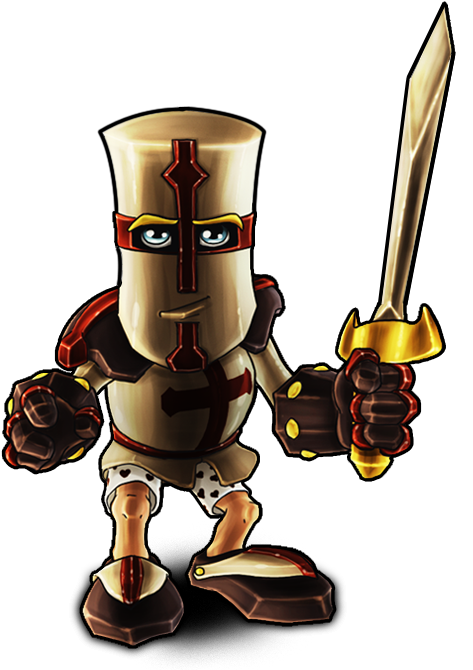 Any combination that ensures nothing will get past for the wyverns will guarantee a flawless victory, so feel free to spend a bit more DUs on anti-air because the ground defense will be a cakewalk. Make sure to compound traps, auras, blockades and towers at 1 & 4, pretty much anything that deals damage will ensure victory. Use strength drains for extra safety. Wyverns that dive in at a high angle are difficult to hit with harpoon turrets, be sure your Squire’s stats are appropriate (radius and/or attack speed) to deal with them. 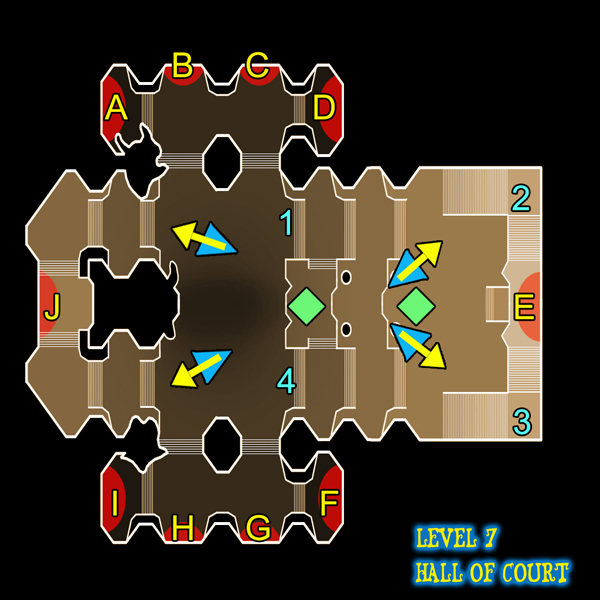 Auras are really helpful due to the amount of kobolds on this level, but if the team goes with traps, place proximity mines on the steps outside B, C, H & G for added precaution.